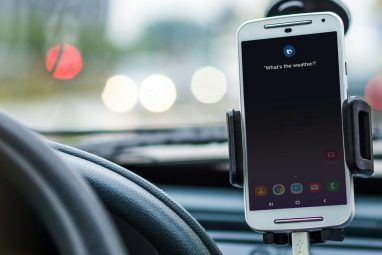 Unless you’re an early adopter 5 Reasons Why Being An Early Adopter Is A Bad Idea 5 Reasons Why Being An Early Adopter Is A Bad Idea Are you the type of person who pre-orders the newest tech gadgets as soon as they’re available? Then you’re an early adopter. Is there a downside? Let's find out. Read More who cycles smartphones every six months, you’ve undoubtedly felt it — a loss of performance in your current device. And this isn’t an Android vs. iPhone issue. Users on both sides often complain that their phones just aren’t as fast as they once were. Rest assured: it isn’t all in your head. At least, not completely. It’s quite possible that your device has actually slowed down, and there are several potential causes. In this post, we’ll cover these reasons and what you can do about them. Note that we’re talking about long-term performance losses after owning a device for a year or longer. Short-term slowdowns, such as those caused by memory leaks, are often fixable with a simple reboot. When you first bought your device, it came with a specific version of its operating system. Maybe Android 4.4 KitKat, maybe iOS 7, both of which released in 2013. When those OS versions came out, they were developed with a certain set of hardware specs in mind. Fast-forward to today and overall hardware specs have drastically improved. Features are added to both Android and iOS, and these improvements are made with the newer hardware specs in mind. As such, newer versions of an OS require more computing power and resources for a smooth experience. In other words: if you have a 2013-era device that came with Android 4.4 KitKat and upgraded it to Android 7.0 Nougat, you simply don’t have enough juice to handle all of the extra overhead. Hence, the device feels slower. What can you do about it? Not much, unfortunately. Feel free to apply minor upgrades (e.g. from Android 7.0 to 7.1) but avoid major upgrades (e.g. from Android 7.1 to 8.0). Keep your device in the era it came with, and upgrade the device itself if you want to take advantage of a newer OS version. 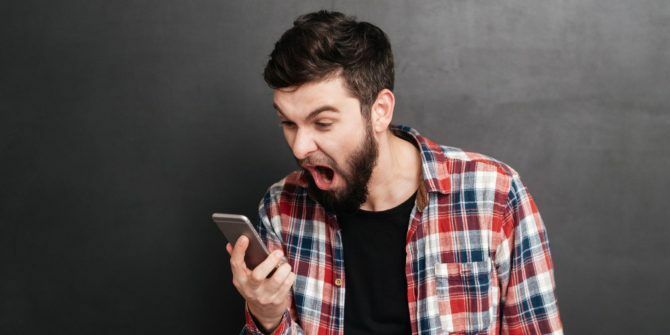 While all types of software can succumb to something called “feature creep” — the continued adding of new-yet-arguably-unnecessary features — mobile apps are some of the worst offenders. Even so-called “lightweight” apps can quickly grow bloated over time. But the real tragedy is that most developers aren’t mindful of the resources used by their apps. In fact, as overall device hardware improves, developers tend to get lazier as far as resource management goes. Over time, apps tend to eat up more RAM and CPU but your hardware stays the same, so performance feels slower. Take an app like Spotify and compare how it is now to what it was like back in 2014. The 2014 version would run perfectly fine on today’s phones, but today’s version of Spotify would likely sputter on a 2014-era phone. Apply this to all apps on your device and it’s easy to see why it may seem slower now. What can you do about it? As apps grow bloated, you can replace them with lighter-weight alternatives. Likely offenders include note-taking apps, media apps, social network apps, and office apps. In some cases, an older version of an app might be available. So long as it doesn’t have any glaring security issues, it might suit your device better than the latest version. Another reason why your phone feels slower is that you have more apps installed now than when you first got the device. If you don’t believe me, go to your phone’s settings and look at all of your downloaded apps. Most people think they’ve only installed 10 or so apps, but are often surprised to see closer to 40 or 50. The problem is that some apps run in the background although you aren’t actively using them. For example, email apps are always checking for new incoming emails, messaging apps are always awaiting new messages, note-taking apps are always syncing, etc. Even animated live wallpapers 25 Awesome Android Live Wallpapers by Category 25 Awesome Android Live Wallpapers by Category Having a background on your phone that moves around is super fun and futuristic. Here we take a look at the best live wallpapers for Android. Read More and home screen widgets The 11 Best Widgets for Your Android Home Screen The 11 Best Widgets for Your Android Home Screen With so many widgets for Android, which are the best? Here are the best Android widgets for weather, notes, and more. Read More need resources to do what they do. Every additional app in the background uses CPU and RAM, which leaves less CPU and RAM for the apps you’re actively using. This can impact performance and is one reason why task killer apps are so bad Why RAM Boosters and Task Killers Are Bad for Your Android Why RAM Boosters and Task Killers Are Bad for Your Android At first glance, RAM boosters and task killers sound incredibly useful, but a closer look shows that they could actually be harming your phone instead. Read More . What can you do about it? Identify which apps are draining battery Find out Which Apps Are Killing Your Android Battery Find out Which Apps Are Killing Your Android Battery If you're getting poor battery life on your device, you likely have an app abusing your battery in the background. Find out how to identify those apps and solve your battery problems. Read More as heavy battery use tends to indicate heavy background processing. Switch to a static wallpaper and avoid relying on widgets. Uninstall apps you don’t use. Disable background processing in apps that allow it. All smartphones and tablets run on flash memory, which is a type of solid-state storage medium with no moving parts. The most common type of flash memory is called NAND. While NAND is fast and affordable, it does have a few quirks that can impact performance. First, NAND memory grows slower as it fills up. The exact mechanisms behind this are beyond the scope of this article, but suffice it to say that NAND memory needs a certain amount of “empty blocks” to operate at peak data-writing performance. The speed loss with full storage can be significant. Second, NAND memory degrades with use. There are three kinds of NAND memory NAND and eMMC: All You Need to Know About Flash Memory NAND and eMMC: All You Need to Know About Flash Memory The world would be a sad place without flash memory. But how much about flash memory do you really understand? Here are the essentials you should know to make informed buys! Read More — SLC, MLC, TLC — but they all have write cycle limits per memory cell. When the limit is reached, the cells wear out and impact performance. And since your device is always writing data, deterioration is unavoidable. Note that TLC is a type of NAND memory pioneered by Samsung. It’s the cheapest to produce but has the worst durability: 4,000 write cycles per cell versus 10,000 in the more standard MLC type. This might be why Samsung devices have a reputation for slowing down more than non-Samsung devices. What can you do about it? We recommend staying under 75 percent of your device’s total storage capacity. If your internal storage is 8 GB, don’t cross the 6 GB threshold. This can also help extend the life of cells 3 Ways to Protect Your SSD and Extend Its Lifespan 3 Ways to Protect Your SSD and Extend Its Lifespan There are a few mistakes that could be shortening the lifespan of your SSD. Avoid these to extend your SSD's lifespan as long as possible. Read More through a technique called “wear leveling,” thus delaying performance degradation. In spite of all the above, your device might simply feel slower because you perceive it to be slower, not because it has actually slowed down. There’s an interesting phenomenon where search traffic for “phone slow” spikes after new phone releases and big OS updates. Nobody knows for sure what this means, but one interpretation is that when something new comes out, what you have right now suddenly seems worse. What can you do about it? Learn to accept it or upgrade your device. Android users could flash a new, light-weight ROM How to Install a Custom ROM on Your Android Device How to Install a Custom ROM on Your Android Device Ready to revitalize your Android phone or tablet? Installing a custom ROM is the best way to do that -- powering it up with even better performance and features. Read More . If your device is slower than you’d like, and you’re sure it isn’t all psychological, then there are a few things you can try. For Android users: We have a guide on what works and what doesn’t work when it comes to speeding up Android performance How to Make Android Faster: What Works and What Doesn't How to Make Android Faster: What Works and What Doesn't If your Android device doesn't feel as fast as it once was, try these tweaks to get it running faster (plus common "tips" to avoid). Read More . Effective tactics include cleaning up the home screen and rebooting on a regular basis. Don’t forget to free up storage space How to Free Storage Space on Your Android Device How to Free Storage Space on Your Android Device If you've run out of storage space on your Android phone or tablet, we can help you free it up. Read More , too. As a last resort, reset back to factory state Dealing with System Problems in Android: Safe Mode, Factory Reset & Restoring Backups Dealing with System Problems in Android: Safe Mode, Factory Reset & Restoring Backups If you've run into a problem on your Android phone or tablet, this method just might help you save it. Read More . For iPhone users: Not as many options as with Android, but you can try manually clearing RAM Speed Up Your iPhone by Manually Clearing the RAM Speed Up Your iPhone by Manually Clearing the RAM Here's a quick trick that you can use to manually clear an iPhone's RAM -- and it doesn't involve closing down open apps! Read More , avoiding battery-draining apps Avoid These iPhone Apps for Better Battery Life Avoid These iPhone Apps for Better Battery Life Killing background apps won't save your battery — in some cases you'll have to completely avoid an app in order to stop it from draining your smartphone's energy. Read More , and freeing up storage space iPhone Storage Full? How to Create Free Space on iOS iPhone Storage Full? How to Create Free Space on iOS The best way to maximize your available iPhone storage space is to buy the biggest device you can afford. Too late for that? Here's how to create free space on your iOS device. Read More . 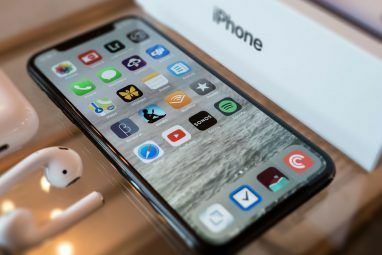 As a last resort, reset back to factory state How to Reset Your iPhone to Factory Settings How to Reset Your iPhone to Factory Settings Resetting the iPhone to factory state is a straightforward process, but an important one for anyone who is selling or giving away their old iPhone. Read More . Was this post helpful? Have you experienced a slowdown with your own device? Are there any tips or tricks that have worked for you? Share with us in a comment down below! Explore more about: Android, Android Tips, App, Hardware Tips, iOS. Disney+, Is IPTV Legal, and Office Alternatives for macOSWhat Does “Dual Core” & “Quad Core” Mean? Liked the guidance with technical info. As it has been mentioned 8gb internal memory should be free up and bound to 6 gb. I hv a query will addition of memory card ll help to device run smooth by removing app from phone memory to external memory. It was faster when it was new because it had nothing on it and I wasn't used to it. Now I'm used to it and I've loaded stuff on it. It wasn't hard to figure that out. The first half of number 2 is also a bad idea... again, how are you suppose to get updates to patch bugs and security holes? 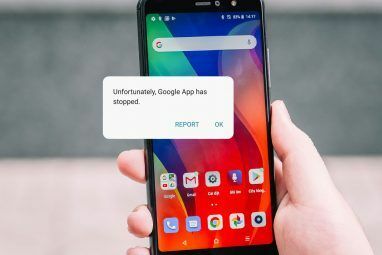 For speeding up an Android... start by getting a new launcher (most manufacturer launchers are garbage... TouchWiz, looking at you), uninstalling unused apps, then take your big apps (like games) and move them to your SD card from the App Info screen. (You might need to go back on occasion and re-move the app to your SD after an update though.) You should also check out Greenify for disabling background processes and possibly poking your head into the Developer Options and lowering the time it takes for the 3 animation types to run (smaller number = faster animations). Or turn off all animations - fastest! I can't relate. I have a oneplus 3. But I reverted back to Marshmallow due to some inane Android choices on Nougat. It was too frustrating to deal with so now I'm back on my most comfortable, snappy OS with NO UPDATES! Security Fear Mongers gasp in horror and amazement! Because we're confident in our abilities to avoid obvious security malware by rooting and taking complete control of our devices! I've never suffered a virus or slowdown of any kind on any of my rooted phones since 2012 when I hopped the fence from the iPhone camp.